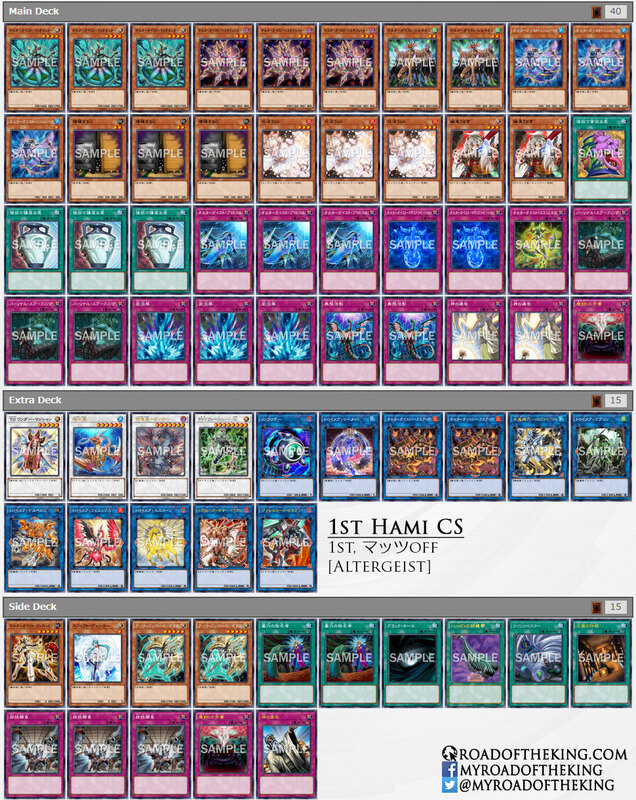 Welcome to Week #9 of the OCG 2018.01 format. 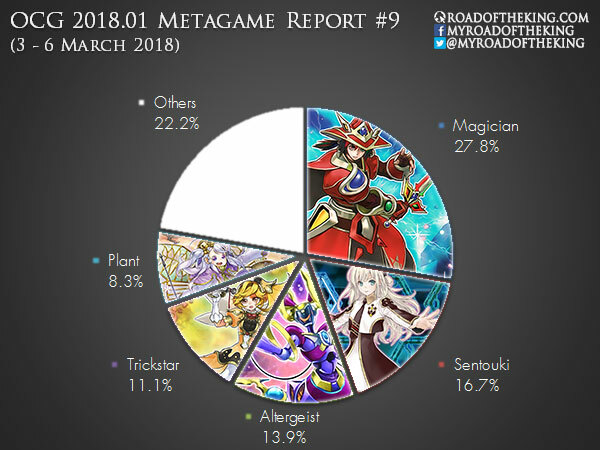 This report will cover 36 top-performing decks from 4 tournaments that were held in Japan and China during 3 – 6 March 2018. 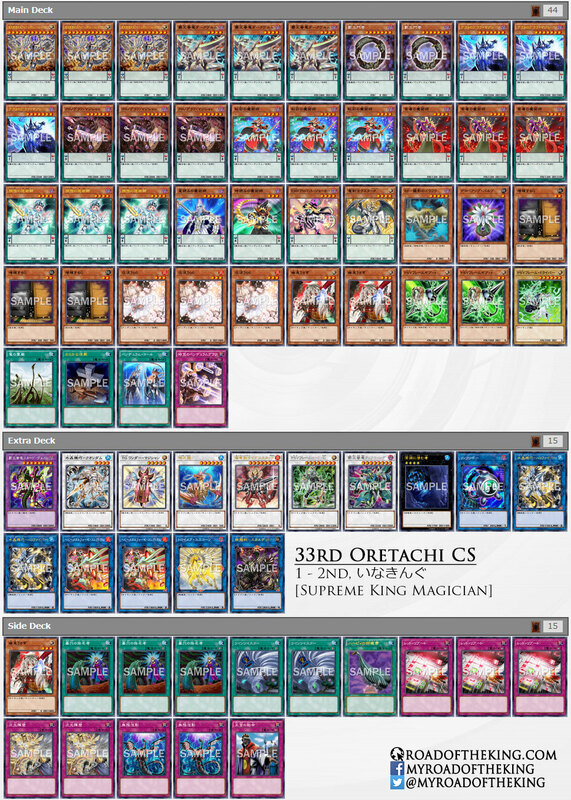 Inakingu (いなきんぐ) went 6-1 and finished 1st in “33rd Oretachi Trading Card Division CS” (Team 2v2) which had 53 teams (106 participants). He ran PSY-Framegear Gamma due to the prevalence of Plant in the previous weeks. 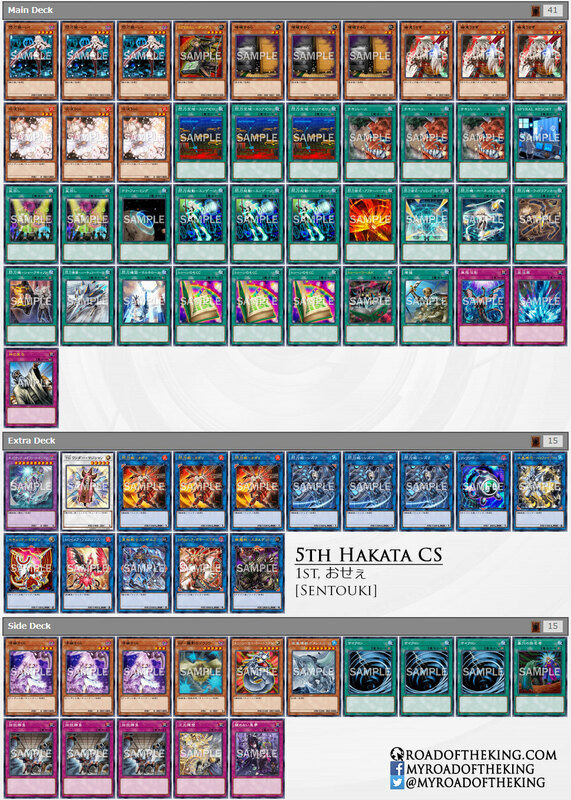 Imperial Order in the Side Deck is mainly against Sky Striker, which had gain quite some popularity over this week. “Sky Striker” Spell Cards have an additional effect that is applied when 3 or more Spell Cards are in the graveyard, allowing them to trade one-for-two against the opponent. This allows Sentouki to pull ahead in card advantage, especially when the game drags on. Osee (おせぇ) went 6-0-1 and finished 1 – 2nd in “5th Hakata CS with Hatti CS” (Team 3v3) which had 44 teams (132 participants). To quickly fulfill the condition of 3 or more Spell Cards in the graveyard, he ran a full set of Toon Table of Contents and Toon World. Toon Table of Contents would search for copies of itself before ending with Toon World, which could then be used for the activation of Sky Striker Airspace – Area Zero. A copy of Toon Cyber Dragon is played in the Side Deck, to be swapped with Toon World when going second. Toon Cyber Dragon rids the opponent’s threat in the Extra Monster Zone by using them to Special Summon Chimeratech Megafleet Dragon. Mattuoff (マッツoff) went 7-1 and finished 1st in “1st Hami CS” which had 70 participants. In his Main Deck, he played 3 copies of Torrential Tribute, a rather underrated Trap Card but very synergistic with Altergeist. When going first, Altergeist generally commits only to the backrow, setting a couple of Trap Cards, but not summoning any monsters. This makes Torrential Tribute an effective board wipe for disrupting the opponent’s play, and at the same time triggering Altergeist Multifaker. When going second, the 3 copies of Torrential Tribute can be smoothly switched out for 3 copies of Evenly Matched. This week’s results are largely unreliable due to the small numbers of tournaments, resulting in a lack of sample diversity. Despite the small data set, this week’s report was not combined with next week’s report so that the impact of Structure Deck R: Curse of the Dark can then be accessed accurately. 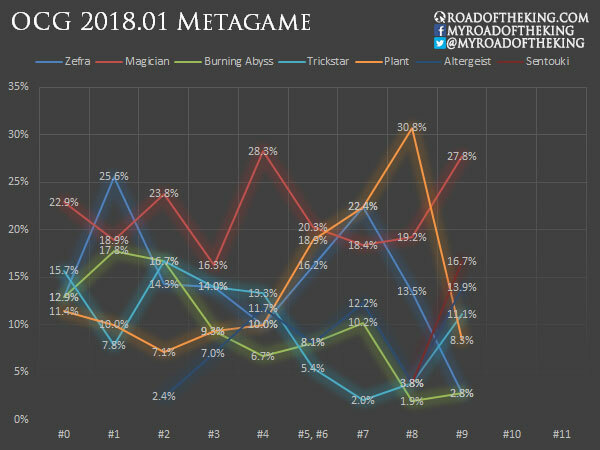 While nothing conclusive can be drawn from the data, we can still observe certain trends from various players’ deck building. We are seeing more players running PSY-Framegear Gamma in the Side Deck against Plant. PSY-Framegear Gamma cannot be negated by Called by the Grave and Red Reboot, making it an excellent choice for disrupting Plant’s combo. Against Sky Striker, we might see the return of Imperial Order in the Side Deck. Anti-Spell Fragrance is also another possible choice for non-Pendulum decks.